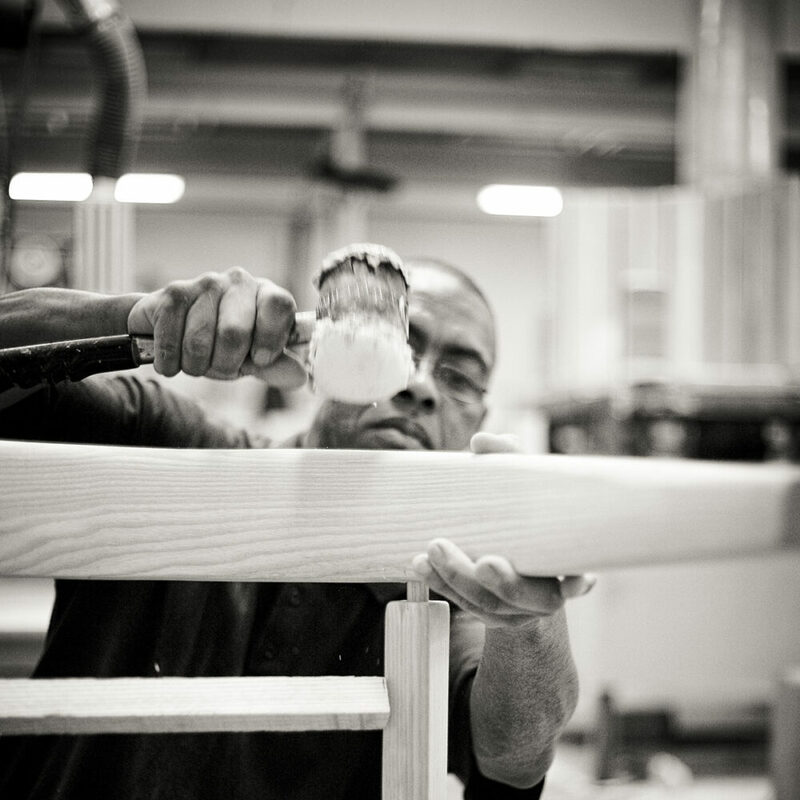 As our name suggests, we practice the art of wood bending to create beautiful, durable and timeless pieces of furniture. We’ve done so for 30 years, and our handcrafted pieces can be seen in hotels, restaurants and homes throughout South Africa. If you’re looking for dining or occasional chairs or tables to complement your space, here’s why you may want to consider a Woodbender piece. Have a particular look in mind? You can customise our pieces to suit your style, from selecting a stain finish to choosing a fabric. There are 15 standard timber finish options at no extra cost, including natural finishes like Ash, oak and walnut, soft shades of limewash, white and Egyptian cotton, and bright tints in red, yellow or blue. If you’re planning on placing a large order and have a custom tint in mind, chat to our specialists as they may be able to accommodate you. When it comes to fabric, you can supply your own or choose one from a local fabric house. This level of customisation gives you the freedom to design the perfect piece for your setting. We combine form with function to create chairs that are beautiful, strong and comfortable. Our frames are made from solid Ash wood, which we import from certified and sustainably managed forests in North America. We also use screws and carriage bolts to fasten our frames securely, and the wood bending process itself adds to the strength of each piece. While cutting interrupts the wood grain and can cause areas of weakness, wood bending maintains the integrity of the grain – and the timber’s intrinsic strength. 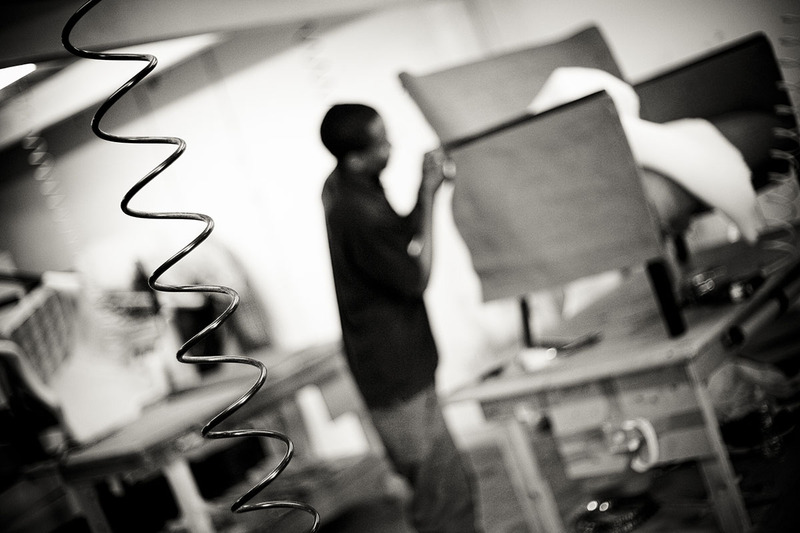 All Woodbender furniture is handcrafted at our factory in Cape Town. 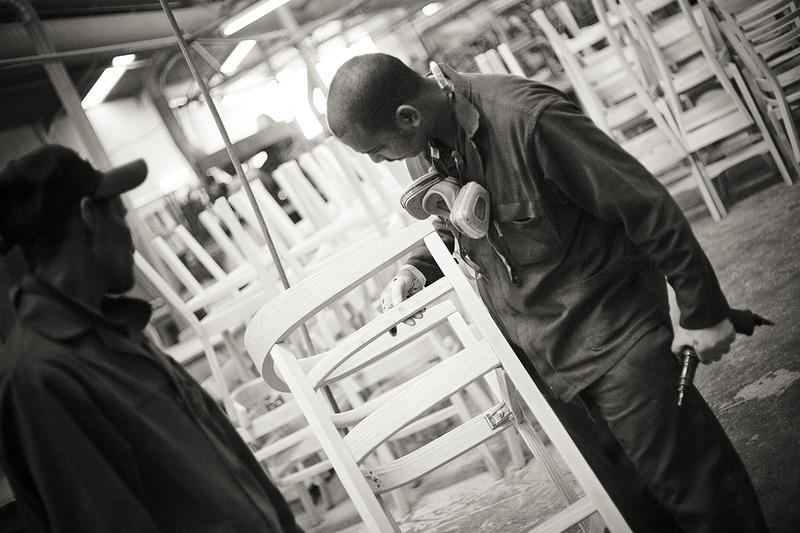 As a chair, table or stool passes through the various points in the production process, it is worked on by at least 20 craftsmen who bring their skills and years of experience to each piece. And all of our processes have been designed to preserve the integrity of the wood. If you’re ready to select a Woodbender piece, browse our catalogue and place your custom order today.